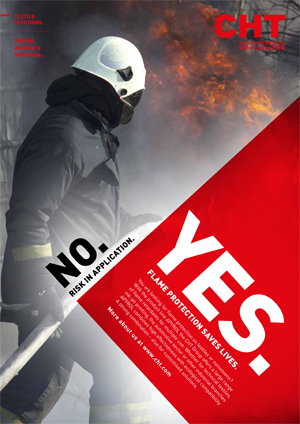 You are looking for flame protection on textiles or nonwovens? With the product line APYROL the CHT Group offers a large range of flame retardants for multiple use: Whether for technical textiles, ink-jet printing, the automotive sector or other industrial branches APYROL combines high effectiveness with ecological compatibility. A strong combination – also for customised solutions.